For spring 2016, the clocks will go forward 1 hour, at 1am on 27th March. The benefit of doing so is that days will feel longer, and lighter. While this brings much positivity as the sunshine starts to become a more permanent presence, the way you use your central heating should change to become more in line with the changing light and temperatures. 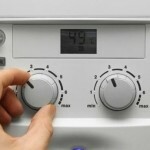 But what can you do to improve the efficiency of your boiler use? You may be a person who carefully sets their boiler to turn on and off at certain times, or you may be someone who is willing to wait for their system to heat up before they need it. 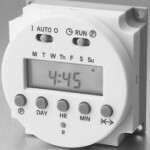 If you are the former, you will need to adjust your system’s clock in order to match the new earlier wake-up time. Bear in mind that the days are longer, so you may be delaying your evening shower or bath, in which case it is advisable that you set your heating to activate an hour later to avoid using unnecessary heat. If you have one the most modern central heating systems, they could possess the necessary technology to allow you to control them remotely, via smartphone or tablet. By connecting to your system while you’re out of the house, you can ensure your heating is at the ideal temperature when you return home. As well as the convenience of altering your central heating settings in this way, you can also save yourself money on your energy bills as you will be increasing the efficiency of your usage of your system. Do be warned though! Don’t go altering a system that has already altered itself! If your boiler is more than 15 years old, it may lack the ability to work on a timer altogether, let alone adjust to GMT and BST. In this situation it might be time to think about replacing it entirely. Not only are modern boilers massively more efficient than older ones, the more contemporary models possess the aforementioned adjustment features, and you can tailor your timings to suit your schedule as accurately as possible; like switching on via your smartphone when you’re on your way home. 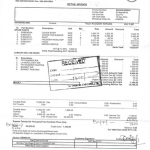 Although there is an initial outlay associated with purchasing a new system, the savings you make on your monthly bills will quickly offset this expense in the long term. Here at VHL, we are proud to supply, install, maintain and repair a wide range of central heating systems from industry leading manufacturers. 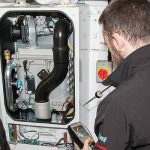 If you would like a new, more efficient boiler to replace your ageing model or you need repairs or maintenance for your current system, then we are the people for you. Get in touch with us to find out more. Heating Issues: What Could Be Wrong?